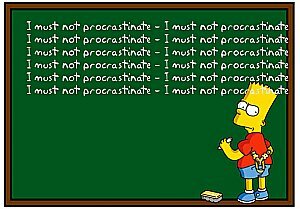 An article on procrastination? Oh, well. I’ll read it later. Seriously, in order not to procrastinate, I didn’t put off reading this article from the Psychology Today website, called Are You Procrastinating or Just Not Interested?. Rule 1: You don't need to be interested in a priority to do it. Rule 2: Get critical social responsibilities quickly done to have more time for what is productive or fun. Rule 3: In the end, you conserve more energy by expending effort to complete a priority than by swerving from it. Rule 4: By understanding your enlightened expectations, you position yourself to avoid procrastination trap thinking, such as believing that you have to feel motivated to engage priorities that disinterest you. These rules are useful for helping us understand procrastination and then break the habit. "It's always the simple things really"
Why are they spoon-feeding us this rubbish? Extraordinary tax breaks? No, thank you.